Photofacial is a technology which uses Laser and pulsed light to remove skin imperfections. Photofacial has been growing in leaps and bounds, culminating in the PalomarRejuveLux Process. 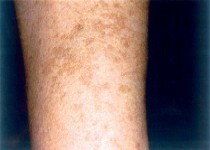 Pigmented Lesions occur in response to sun-induced skin injury and appear as dark brown circles, known as Solar Lentigines. There can also be diffuse browning of the skin, known as Actinic Bronzing, occur in response to sun-induced skin injury and appear as dark brown circles, known as Solar Lentigines. 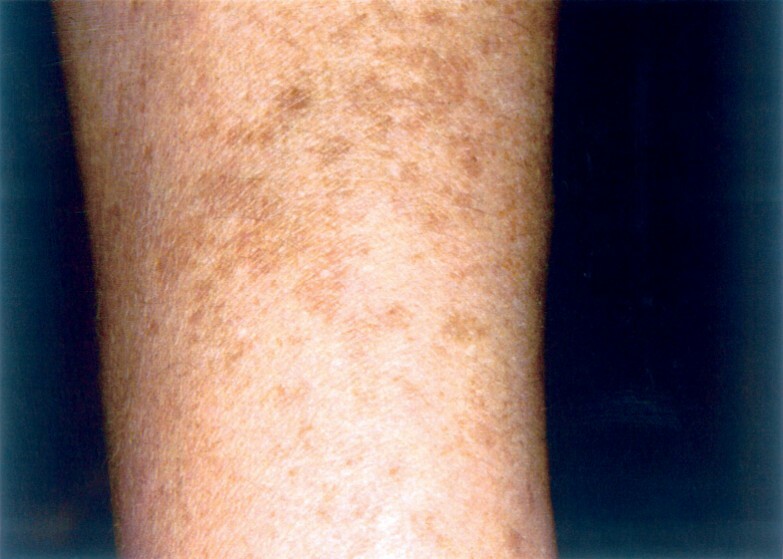 There can also be diffuse browning of the skin, known as Actinic Bronzing. What body areas can be treated wit RejuveLux? The RejuveLux process treats any area except directly around the eyes. The face, neck, chest, arms, hands, legs, etc. can all be treated quickly and safely. What are RejuveLux treatment sessions like? Quick and easy! After your initial preparation, your treatment provider will move the Palomar pulsed light hand piece over your skin. The hand piece emits a light that breaks up the pigment in the lesions. Most people perceive the light as a gentle "snapping" sensation, which causes little to no discomfort. 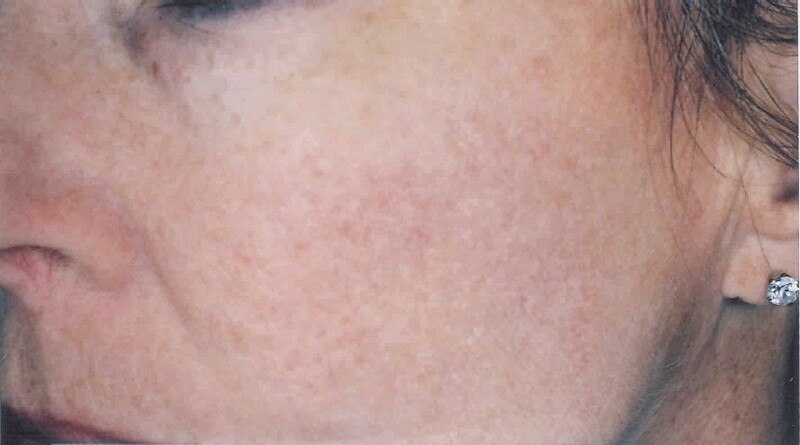 Pigmented lesions will darken slightly after treatment, and fade away after about 10 - 14 days. 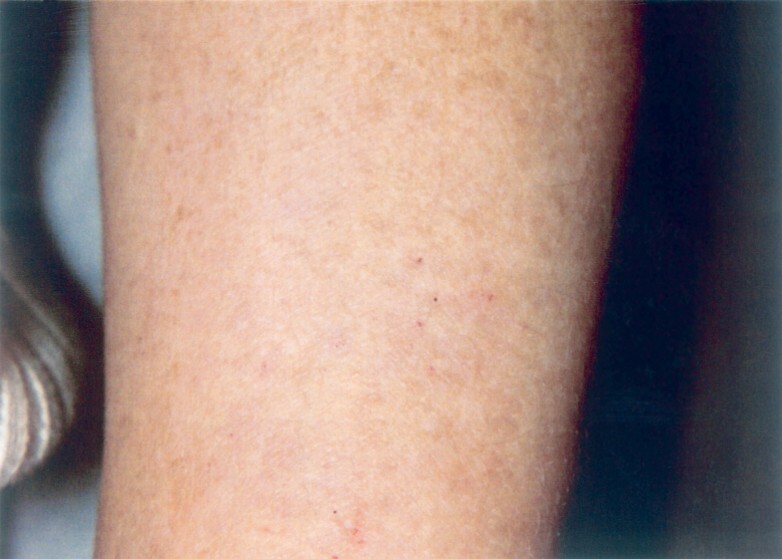 Vessels (visible veins) undergo blanching or graying and the surrounding area may redden. The vessels fade away after 10 - 14 days. Most people experience some mild temporary redness and swelling, similar to a sunburn, in the treated area shortly after treatment. This does not interfere with normal activities and usually subsides within a day. In some cases, the redness may last longer, but will still be mild and temporary. Your treatment provider will explain other, less likely side effects to you. 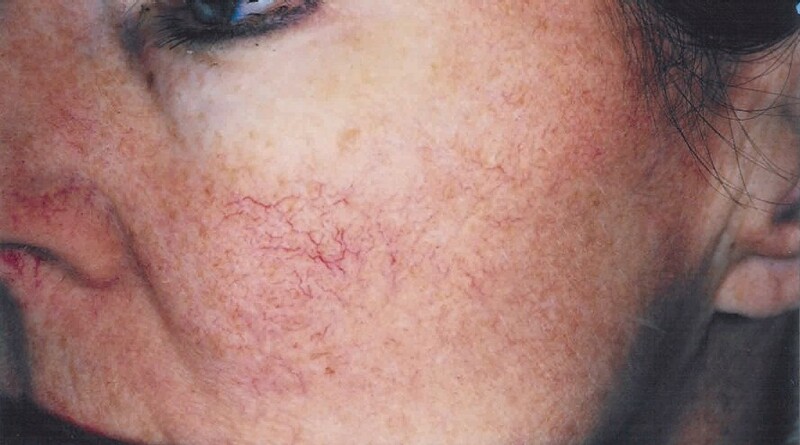 What is the difference between pulsed light and laser treatments? Pulsed light systems and lasers are very similar and treat lesions in basically the same way. 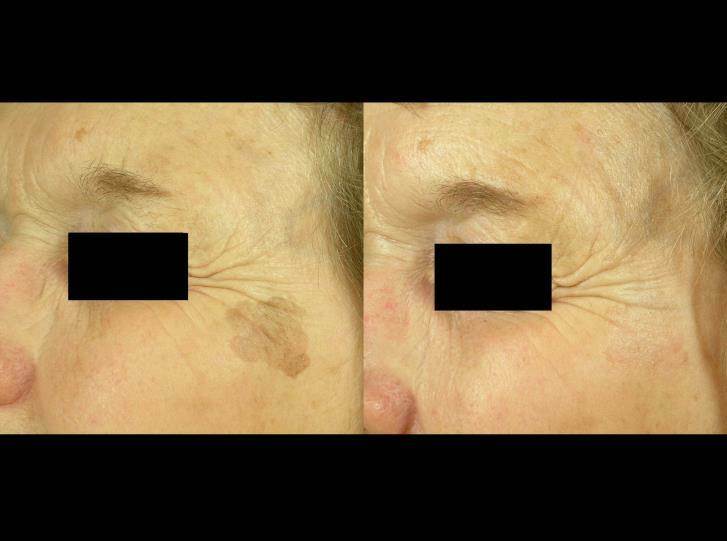 However, the RejuveLux process uses new technology that removes lesions much faster than lasers. RejuveLux treatments can fit even the busiest person's schedule.